This is it. 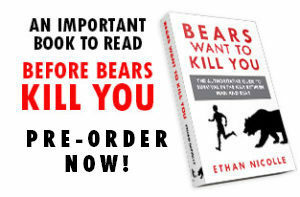 I have just sent the files off to the printer for BEARS WANT TO KILL YOU. I need to close out all pre-orders so that I can start putting everything together for the big send-out once the books come back. I am only making 500 copies of the special edition, and most of them were already sold during the Kickstarter campaign. If you wait until the book releases, chances are you will not get this special edition, and if any are still available, the price will be marked up. The paperback edition will be made available again at that time (early 2019). A signed and numbered bookplate. Click here to read the first 30 pages of this epic textbook on the myth of bear attack survival. You can also throw add-ons on top of your order and these will no longer be available after the 10th. These include, posters, prints, stickers, and other bonus items exclusive to this campaign. 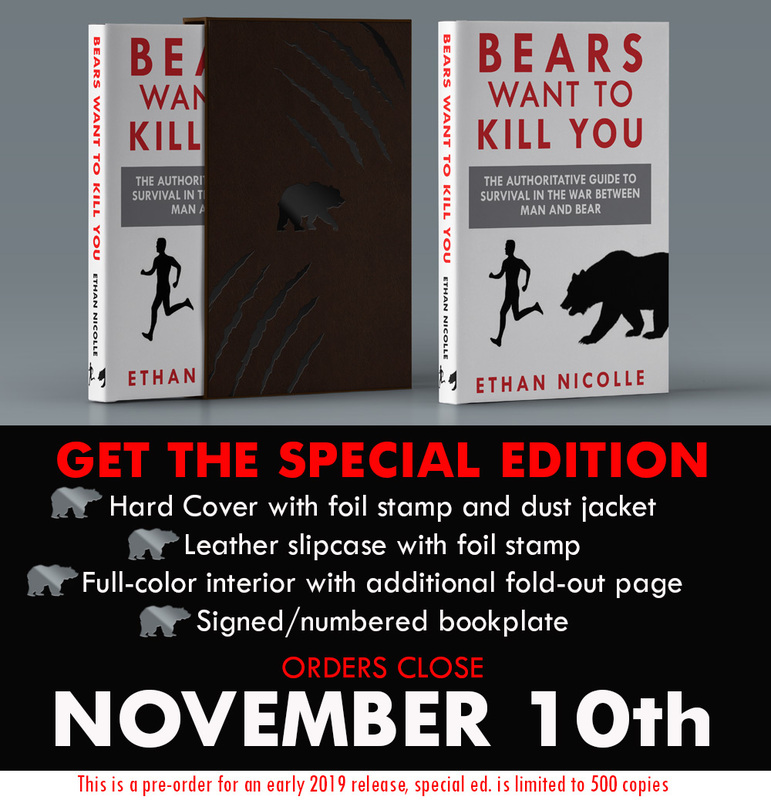 By pre-ordering, not only are you locking down your special-edition copy of Bears Want to Kill You. You are also helping me out by giving me additional funds to work within this initial process of packaging and shipping my first batch of books. This is highly appreciated because I’m cutting it close to bring you the most high-quality within my tight budget. Thanks so much to everyone who backed, or pre-orders this project. You made it possible! *Please note: If the shipping costs seem higher than expected, email me to see if there is a way to adjust them. Some of the item combinations create shipping costs that are higher than they should be. For those of you wondering why the comic hasn’t posted in a while, please see the previous post.